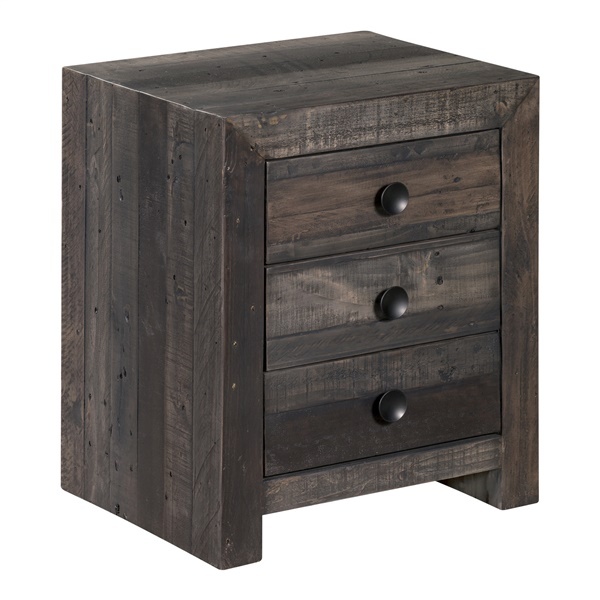 With its eco-friendly design of recycled pine, the Vintage Nightstand by Moe’s Home is a unique combination of rustic and refined, which makes it an easy-to-incorporate accent piece in various décor schemes. Three drawers allow you to store your nighttime necessities, while a textural surface of three finish styles catches the eye. On its own, in a set of two, or arranged in conjunction with other Vintage pieces by Moe’s Home, Moe’s Vintage Nightstand offers a little bit of everything in the contemporary area or eclectic aesthetic. Coordinates with other pieces from Moe’s Vintage collection.